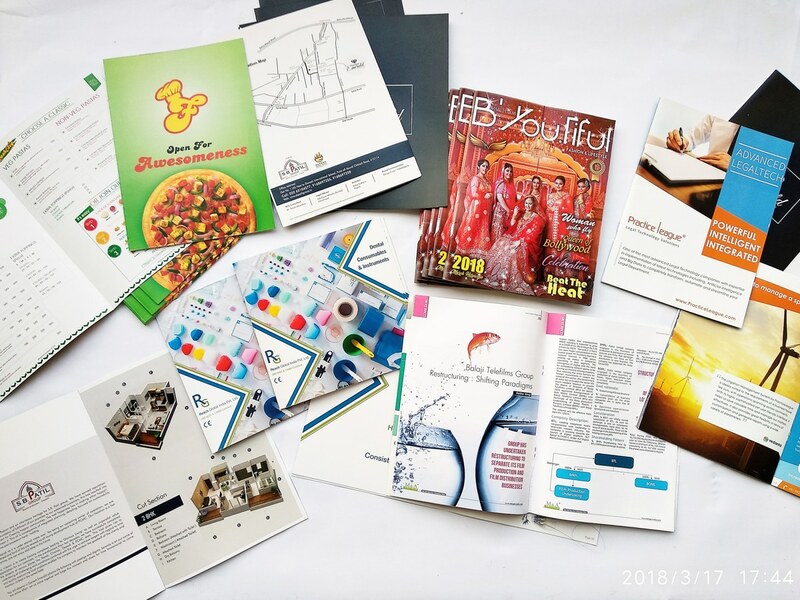 At Orchid Digitals, Pune, our colour digital presses print out your company’s brochures, leaflets, flyers and pamphlets at an extremely high resolution and jaw dropping quality. 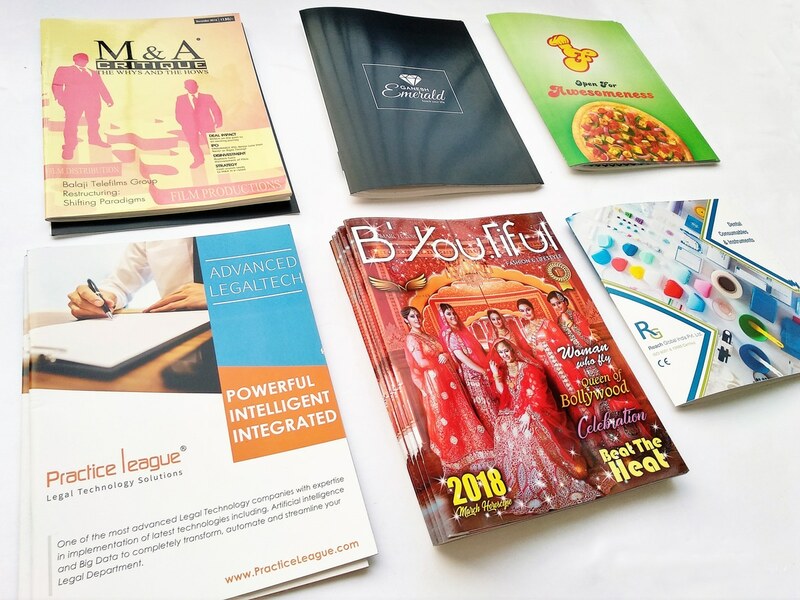 Any business meet, sales talk, exhibition display or marketing effort needs to be supplemented with professionally printed brochures. 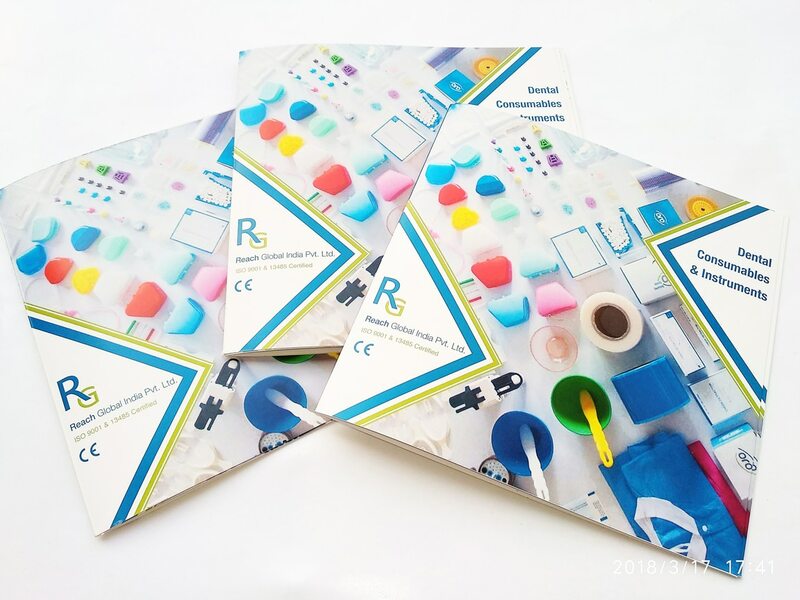 It takes effort to produce a digitally printed brochure with vibrant colours, beautiful images and an eye catching design. But I assure you; such a catalogue will make the right impact and help your product stand out in your clients’ mind. 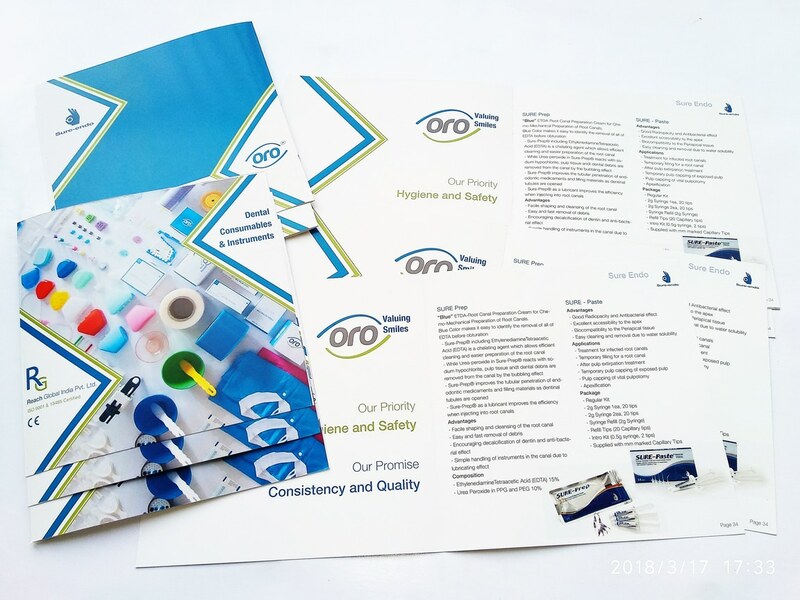 While discussions in a business meet include marketing a product and its broad features, a printed brochure helps in covering the finer details of the same. For example, a salesman needs to convince a prospective client to switch over to his particular broadband service. So in the verbal discussion, he’ll probably cite a variety of features like broadband speed, zero down time and the fact that his company offers packages more economical that the competition. But the fine details are put in the printed brochure that he comes armed with. The brochure highlights the actual broadband plans, company details, graphs showing the market strength, helpline and other important information. Also, printed brochures build recall value of your product. The customer can peruse details and features of your product / service at leisure, long after the meet has ended. 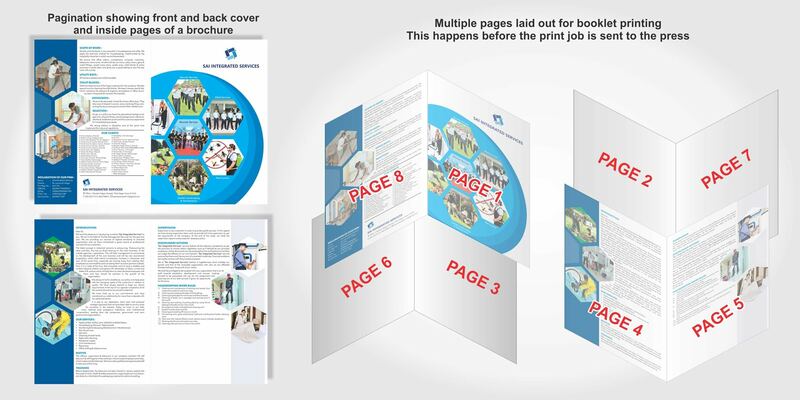 Brochure printing and design follow some set rules and guidelines. Brochures are generally designed in multiples of four pages. So you have 4, 8, 12, 16…. etc. A4 or A5 sized pages. 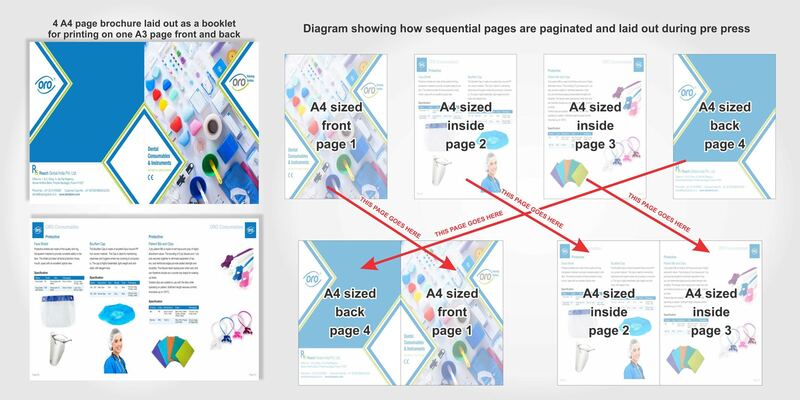 These pages are printed as a booklet, creased in the centre an pinned or stapled together. In addition to this, at Orchid, we also laminate the pages to give them a glossy or matt finish. A plastic laminated print enhances the tactile feel and visual look of the brochure. But in addition to this, it also increases the life of the print. Moreover, creased or folded paper tends to develop cracks over a period of time. But a laminated print will not crack. 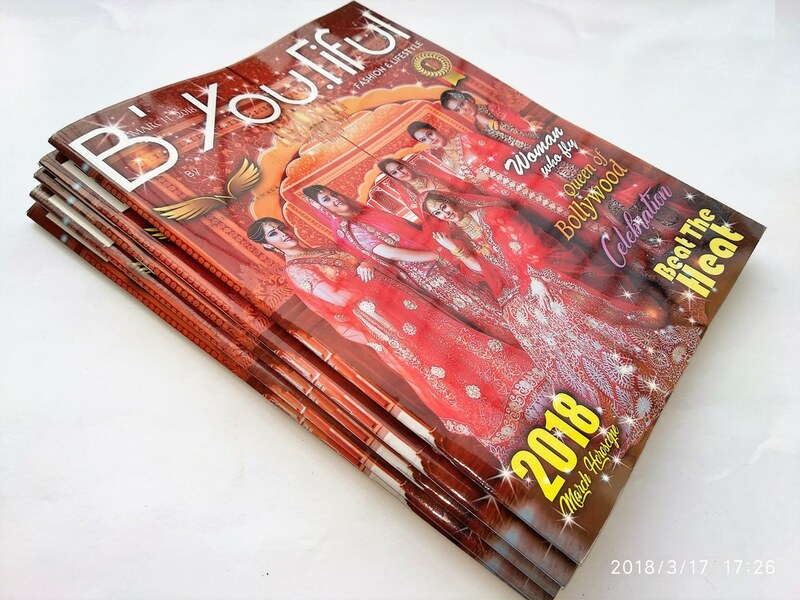 Orchid Printers takes pride in claiming that we’ve met the toughest of deadlines; we’ve delivered the most challenging of print jobs. We do this consistently and we always do this on or before time. Do have a look at what our customers are saying about us. Leave enough blank space on all four sides of your artwork. If your text or important information is way too close to the edges of the paper, there is a risk of the text getting cut off during finishing. Printers also refer to this as the bleed margin. Work with standard paper sizes: The A series of paper sizes are an internationally accepted standard that printers work with. They also stock paper confirming to these sizes. So stick to A5, A4, A3, etc. when designing your brochures. This will ensure that there is no paper wastage and you’ll also get a more economical quote for your job. Ensure that all the pages in your art file have the same dimensions. While this might sound like a no brainer to you, this error occurs more often than you think. Matter for a brochure is compiled form a number of different sources. The copyrighter send across the text and design, the sales department mails the price list and the guys at engineering put in the specifications. While putting in information from all these disparate sources, it is quite possible that the brochure ends up with different sized pages. Make sure that the number of pages in your design file confirm to ‘multiples of four rule’. Basically this rule states that whenever you need to print a booklet or brochure, the total number of pages have to be divisible by four. 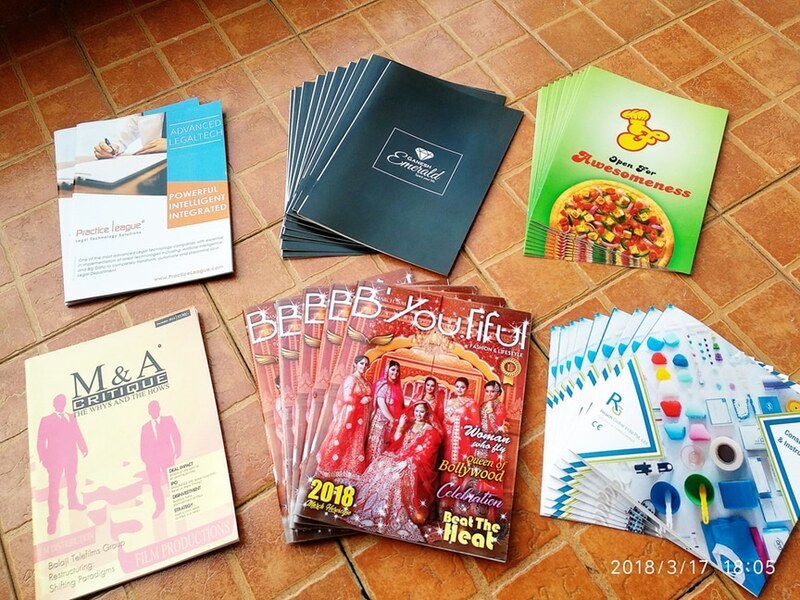 Brochures have a fold in between (if it is just a single page printed front and back, the print industry refers to this as a pamphlet or flier). Take a sheet of paper and fold it in between. You’ll end up with 4 sides. So your artwork needs to cover all four sides, else you end up with ugly looking blank pages. No imagine trying to print a 6 page brochure. The printer will use 2 large sized pages folded in between. So now he has to work with 2 X 4 = 8 sides / surfaces. So if your artwork has only 6 pages, the last 2 surfaces remain blank, which look unseemly and not very professionally designed. What you need to do at you end is give us a .pdf with all the pages in a sequence. At our end, we’ll do the pagination. This means we’ll layout the pages as a booklet. We’ll add the cut marks, crease marks and all the rest.